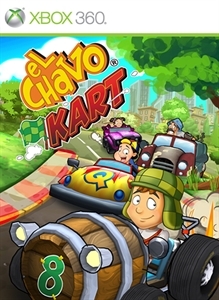 El Chavo KartFebruary 22, 2014El Chavo Kart is a kart racing game for up to 4 players in which you can go head-to-head with your friends and family. Choose from your favorite characters such as El Chavo, Quico, Popis, Don Ramón or Sr. Barriga and start competing. There are 10 ori..
With unprecedented levels of dynamism, drama and interaction, Asura's Wrath will deliver a fresh take on the action gaming genre. Once a revered deity, Asura was betrayed by his fellow gods and stripp..